You’ve probably seen advertisements for identity theft insurance. Have you wondered what it really is and if it’s something you need? Here’s the rundown: Identity theft insurance is niche insurance, for those people who are concerned about the costs involved with repairing their identity should a theft ever occur. 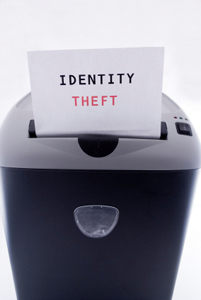 Recovering from identity theft can be costly in time and in money. Identity theft insurance can’t actually stop a theft, of course. It just helps reimburse individuals for the costs of restoring their identity, like phone bills, lost wages, notary costs, certified mail costs, and possible even attorney’s fees. The insurance also usually provides access to services that can also help. If you are interested in purchasing identity theft insurance, be sure you know what you are buying. Get all the details on policies from several different companies, comparing price, coverage, limits and deductibles. credit report so you can see what is going on. Get more identity theft protection information at the Equifax Finance blog. This entry was posted in Technology and tagged credit report, equifax finance blog, identity theft solution on July 31, 2013 by Carol Morgan.